All childhood vaccinations are offered at both surgeries. A clinic is held in each surgery once monthly. Please telephone for details. All adults are recommended to check their most recent tetanus and polio boosters are up to date. We can give these if required. All patients over 65 years old can have a pneumococcal vaccination and annual flu vaccination. 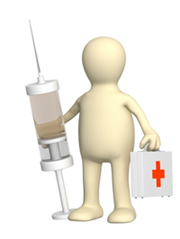 Vaccinations for travel can also be given. Various minor operations can be carried out by the members of the practice. Held regularly in each surgery in conjunction with the health visitors. Please telephone for details. By appointment at Donegall Road and Finaghy Health Centre. We would encourage all women aged 25-65 years to have a smear test every three/five years depending on your age group. Please make an appointment at your usual surgery. 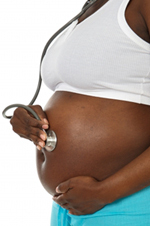 Antenatal and postnatal care can be provided during your pregnancy. All the doctors have experience in offering family planning and pre-conception advice. Primary care of Warfarin doses using a software package. Monitoring of patients on specialised drugs. e.g. methotrexate. Practice Nurse in Kensington Medical Centre provides this service. We also have access to X-ray facilities, chiropody, community psychiatric nurses, community physiotherapy, community dietitians, speech therapy and occupational therapy. Please enquire from the receptionist.